This is a bundle of PAINTED POPPY STAMP SET AND COORDINATING DIE SET. The inspiration for this set comes from beautiful poppy blooms. This will be another lovely 3-step floral set to add to your collection! This one, however, is on a much larger scale, serving as a dramatic focal point for your project! 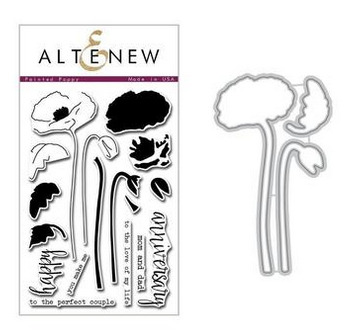 You can stamp the flower, leaves, and bud with or without outlines for a variety of looks!